WEDNESDAY 24 April 2019 | NO SALE WILL BE HELD. Welcome to the March 2019 issue of our quarterly stakeholder newsletter. Our goal is to keep you informed on the NRLX facility, giving feedback on its performance, and also updates on the exciting new upgrades which are underway. Council is committed to improving communication channels with all its stakeholders. Click on the image to the right to read more. Feedback most welcome! Ray White has some great listings on offer for this Friday for another store sale at the NRLX. 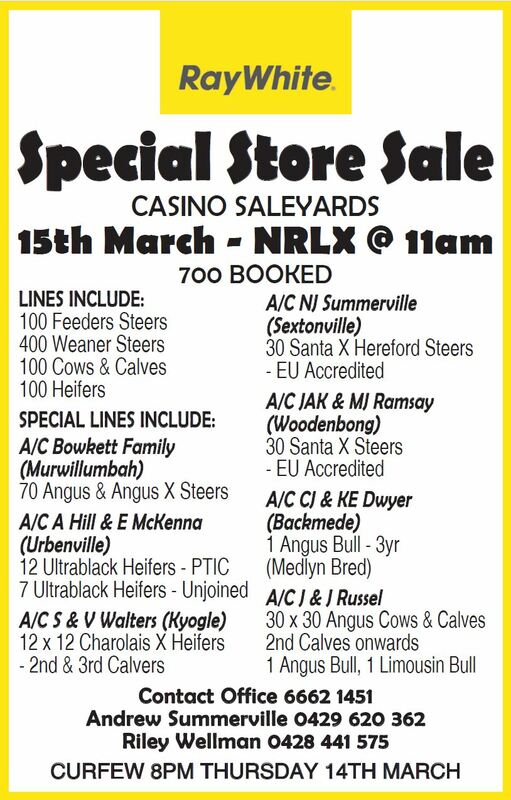 As indicated in the advertisement, a wide range of breeds are on offer as well as some regular clients who are again selling through NRLX. 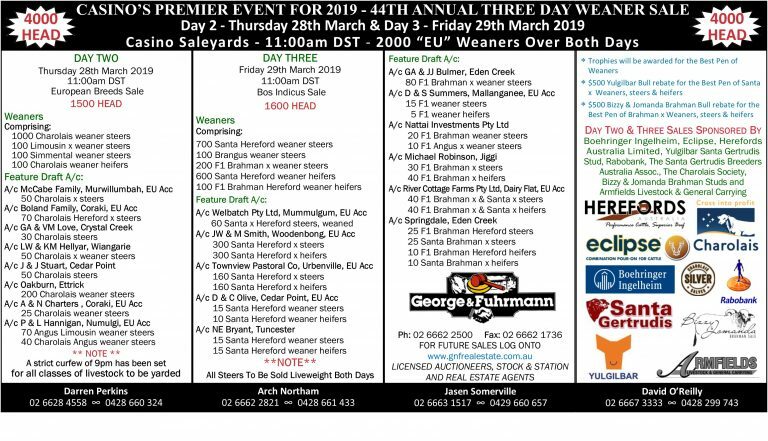 It is great to see producers supporting NRLX, with cattle on offer from across the Northern Rivers region, demonstrating the confidence from producers, to attract buyers & the best possible prices for their product. The NRLX facility allows for the best presentation of cattle and is a great way to fully promote a wide range of livestock at the one place, therefore potentially attracting more buyers.